Thanks robodraif! Glad you like it! We are glad you liked it! We will definitely revisit DungeonTracks soon and would like to make a sequel. Sadly we cannot say at the moment when exactly that will happen. Hey ducklin thank you for playing, we are glad you like the visuals! To make the light, we took a hard look at Godot's isometric light and shadow example and tried to figure out how it worked. We didn't quite figured it out completely in the end, but could manage to use the bits we understood and make a simple version that fit our purpose. As the game has a very low resolution we could get away with very hacky tricks and a low shadow resolution. Basically it is just Godot 2D Light with default shadows and a custom shader and texture maps just for the walls that prevents them from getting lit from "behind". Hey gokhansolak thank you for your feedback! Glad you liked the action! Hey Gabriel, thanks for taking your time and giving us your feedback! While we will not change the current game anymore (except for critical bugs), we want to turn the concept of DungeonTracks into a full game eventually. More ways to avoid enemies is a good idea and will definitely come in some form! The whole leveling system will also get an overhaul. Hey thank you for playing! We are happy you liked the "digging" mechanic! There is still much untapped potential in this feature that we may want to explore in a future take on this game (maybe as a full game release sequel ). We are currently updating our internal build of the game to incorporate sound, music and ui enhancements including an improved ui font that should fix your (and others) scaling issue (see image below). We will release the update after the jam is over and announce it on the usual social-media channels. Hey we saw your lets play on youtube and are glad you liked it! From what we saw we really need some onscreen overlay to quickly tell people the controls and that the crates, barrels and enemies only drop health when the player is low on health. But we are glad you eventually found out how to shoot the minigun for yourself! Did you later try the charm mechanic with middle mouse? It is great fun also! We will see if we at some point in time iterate on this game idea and make a full game out of it with, though the current DungeonTracks is pretty long as well. I really like the leveldesign and artstyle, especially the forest (now that I could play it myself). I did not quite understand the bedroom scene. The ropewalk was very nerve-racking (in a positive way) and I liked the white fog in this area that made it surreal while giving it a sense of space and vastness. What bugged me a little was that there is no real indication how close you can get to the spiders without dying. All in all though great atmosphere! We think that if a player spends her/his whole time playing a game in the main-gameloop then the minute-to-minute experience should be as good as possible. So we did optimize gameplay first and everything else last and we are glad that according to you and the other peoples feedback it paid of! :D It also helps that my teammate is a lazy-gamer, meaning that she does not like to put much extra effort to achieve ingame goals and I am an impatient gamer so we do not really like complex controls or forced waiting. With more time we would definitely cut some more menu minutia and shortened the respawn time. We will look into the offscreen attacking of enemies, maybe by just allowing enemies we haven't seen yet to only use the small gun. We didn't want to disallow enemies shooting off-screen completely as it could prevent cool chasing moments or enemies bursting through walls from the sides etc. also charisma makes a bigger light radius and more dazzling sparkles on Susi! Anyway .. as the player will only be level 12ish at the end of the game, I doubt that most of the things like light radius and reload time will be very noticable sadly. Balancing this system is also a nightmare especially for a game-jam and more especially as the enemies using the same leveling/stats system as Susi. We used this system though as homage to the D&D games. You also implemented the learning by doing thing very vell. First I thought "WTF firepit?" but then I went "AAH rocket jump!". 1) The readme file is mangled up in notepad due to unix encoding. I know that notepad is not quiet a very useful texteditor, but I think for the majority of players on windows opening txt-files default to notepad. Just a thing to keep in mind! 3) One only takes damage in the firepit when not standing still (don't know if this is on purpose). All in all very good level design and cool mechanics! Yeah it was a hard decision to make. We are glad you had fun though! The main character is very cute, and I like that it hops like a little space kangaroo instead of just having a run out the mill walk cycle :) I found the collision boxes of the character/obstacles a little hard to play with though. Because of that I did not get very far but I liked that you made a little story around the game and even put the cherry theme into the gamemechanics! Talking gas-clouds are a funny idea! Uh sorry forgot to say :D It was 63! I tried some runs after that but sometimes I get a very small level and crash into my self or was just stupid in a big level :D . One thing I'd recommend would be to disable self-collision completely for the first 5 seconds or so after starting as one sometimes cannot start going into the desired direction due to self collision (which makes the small levels even harder). Also one time I accidentally started the wyrm with a mousepress (didn't know mouse controls were a thing in this game :D). Overall I had good fun with this game. How much was your highscore as the gamedev? Hey I saw a stream of your game yesterday by FerretOTR when he streamed 25 of the CherryJam games. It was cool to see that it even had cutscenes in it! The forest part was nice too! It was a little glitchy and the streamer had to restart the game because of a death-loop but the atmosphere was spot on. Cool stuff! Wow okay then my understanding of the game mechanic was way off! I didn't realize that there is such a thing as ranged vs. melee. I understand the discovery part of your reasoning but for a reasonably complex system imho it would be better if there was a short description/tutorial of the underlying mechanics like in similar battlecard games (Magic, Yu-Gi-Oh, Heathstone etc.). Unless you want it to be a puzzle game where you need to deduce the rules (like i.e. in The Witness). 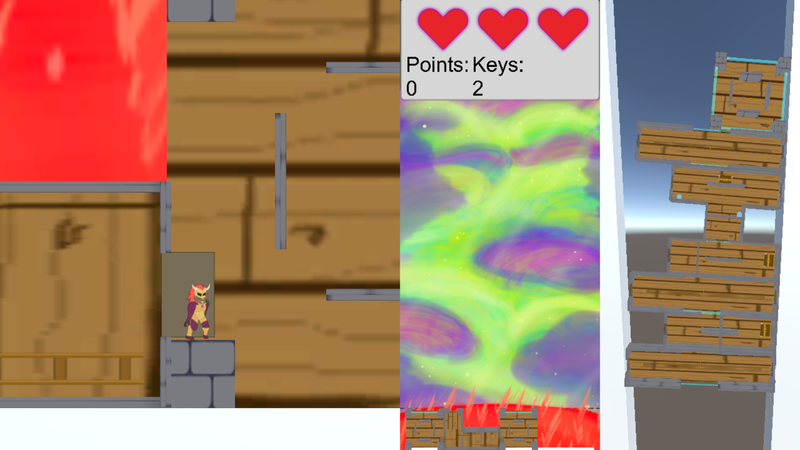 But then the rules need to be discovered one by one so the player does not get overwhelmed. I understand this could be out of scope of a game jam but something to keep in mind for the future. Anyway cool game with a lot of potential! What the game is missing is a little more feedback on when/if the enemy was hit, as when you swing the sword you only know that you hit the enemy when he dropping dead after three hits! Thanks for your feedback! Yes it is normal :D We could not make sound and music in time and instead just put our effort into polish and gameplay. A version with sound and music is coming though . We will announce it in on Twitter under @snailspacegames and update our itch.io page accordingly. 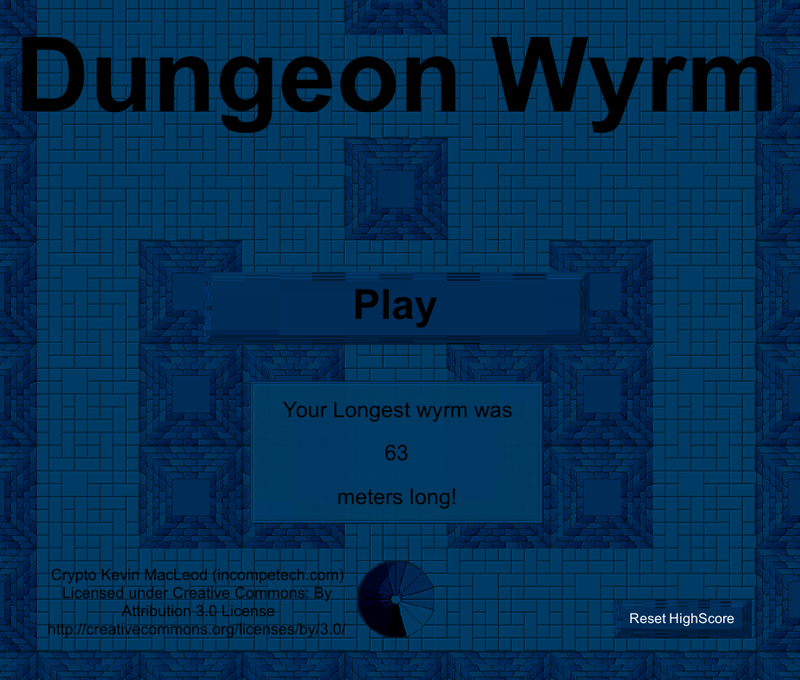 At first I had trouble with not instantly turning into the direction I pressed (the wyrm makes kind of a U-turn). But I quickly got used to it and it was challenging. Cool twist on the snake principle! Those **** arrows!!!! Cool game though! Voice acting and art style 11/10 - Egg of the year! Interesting mechanic. 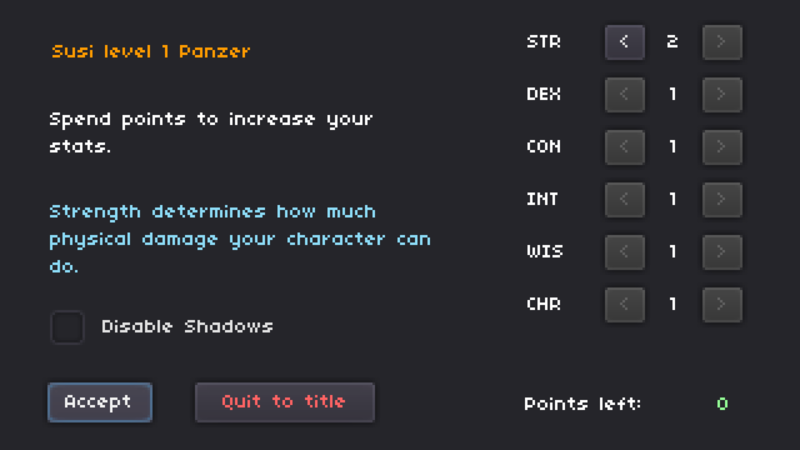 Would be cool if you could make moves with right click as a shorthand and could assign moves even when not in pause. The ghosts are really cute! Nice fun twist on those "move mouse through level" games. It's cool because on the one hand one wants to go fast but on the other one can play it safe just by moving slow. This is better than just "if the mouse touches the walls you die". A timer that runs out would be an even cooler challenge! I really really like the title screen where you can see the ingame spider thingies crawling around with the slight blur effect overlayed. I like fighting those skellies! But how do you open chests? Reminds me of Morrowind meets Dungeonmaster! Very cool and a lot of work! Cool artstyle and light mechanic! You could improve the feel of the jump by setting a higher gravity after reaching the zenith of the jump so that the character comes down faster (without affecting the jump height). Here is a very good GDC talk on this topic. Keep up the cool work! Pretty cool arrows with nice utility. I like the bomb arrows and especially like the cute skelli sprites! Moving while getting ready to shoot would be cool though.